Puerto Vallarta, located on Mexico’s Pacific coast, is a charming beach town boasting some of the most beautiful sunsets you’ll ever see. Visitors to the area can enjoy beaches and watersports as well as local shops, restaurants and bars. This destination is friendly and welcoming and a wonderful spot to explore for your next vacation. 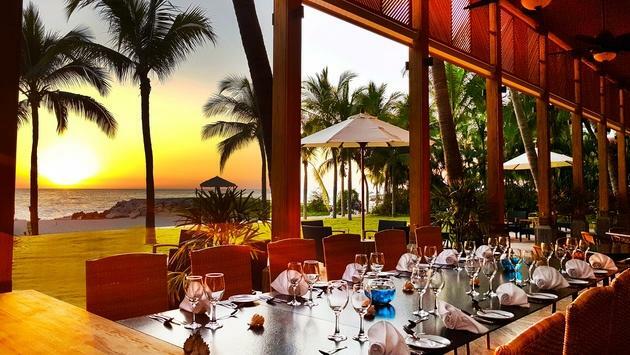 La Colección Resorts by Fiesta Americana offers two resorts to choose from in this area, both are all-inclusive, beachfront properties. Groups traveling with children will want to choose Fiesta Americana Puerto Vallarta All Inclusive & Spa, a family-friendly property located only five minutes from El Malecón. This resort has 291 spacious guest rooms and suites, all with a modern Mexican design. Families will love playing volleyball on the beach or splashing around in the pool. Grand Fiesta Americana Puerto Vallarta All Inclusive is the place to go for an adult only vacation. This property is perfect for groups of friends or a romantic retreat. It has 443 rooms, two pools, a variety of restaurants and a spa on property. Guests will love the vibrant, trendy atmosphere of this resort. You can’t go wrong with either of these stunning properties. Both resorts offer plenty of food, drinks and fun and are perfect for making memories that last a lifetime. Visit La Colección Resorts by Fiesta Americana’s website to learn more.